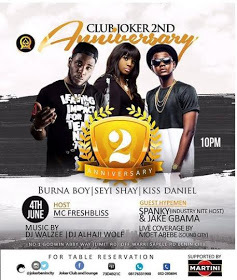 Club Joker 2nd Year Anniversary this Saturday(June 4th). We will continue to set the pace, be the centre of attraction and the luxury provider of the best clubbing experience in Benin City. This year our anniversary turn up will be magnificent!